It is snowing as I write this. 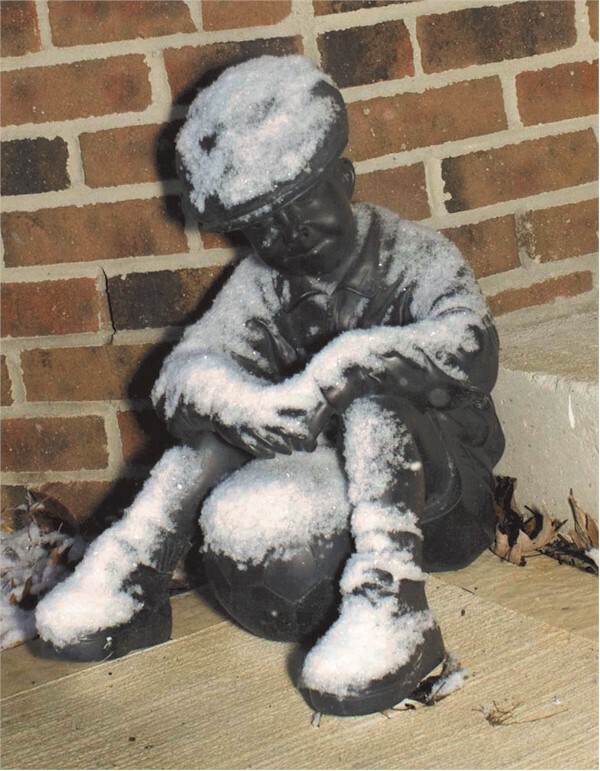 The weatherman says we will have about 6‖ of snow today. How can this be? Isn‘t this North Carolina? Having been raised in the North and seeing more then my share of snow, I am not impressed! 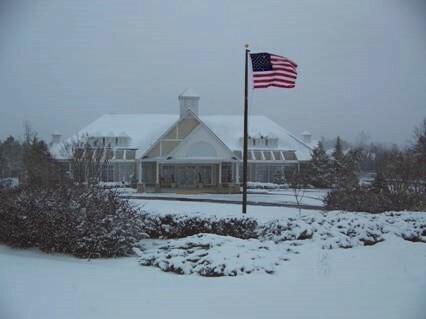 The beauty of living down here, and especially in Heritage Pines, is that the snow won‘t keep us from getting together with our neighbors today. I have decided to call the Board and see who is willing to come out and get together for a work session today. Might as well use this day to work on some upcoming bids we need to discuss. Luckily, every Board member will attend. I also spoke to some neighbors who are getting together for bridge, while others will be playing Rummikub. No, in this community, the weather won‘t hold us captive. How nice it is to be able to pick up the phone and have company within walking distance! Have you ever wanted to know how much the food bill was for a clubhouse party that took place two years ago? How about the name of the entertainer we had at a Luau or where the best place is to purchase decorations for a function? I am totally amazed how Betty Landes can get this info so quickly. Betty is a great source of information for so many in this community. I have depended on Betty time after time to get me accurate information in a timely manner. Thanks Betty, you make the Board‘s job much easier! As many of you know, Nancy Blunt, who works in the office with Betty, recently fell on the ice near her home and broke her elbow. She will be out quite awhile while recuperating. 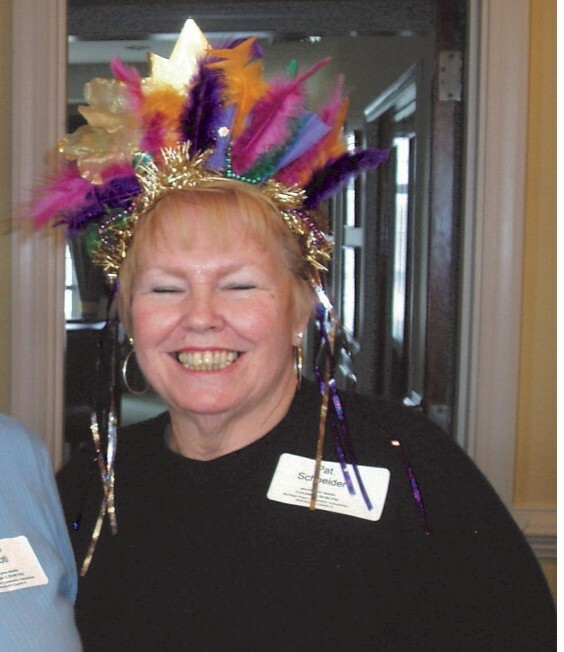 If anyone would like to send Nancy a get well note, Betty has placed get well cards in the lobby for people to sign or you may get Nancy‘s address from the office if you want to send your own greeting. Don‘t forget to check out what‘s happening around the clubhouse by looking at the monthly calendar. 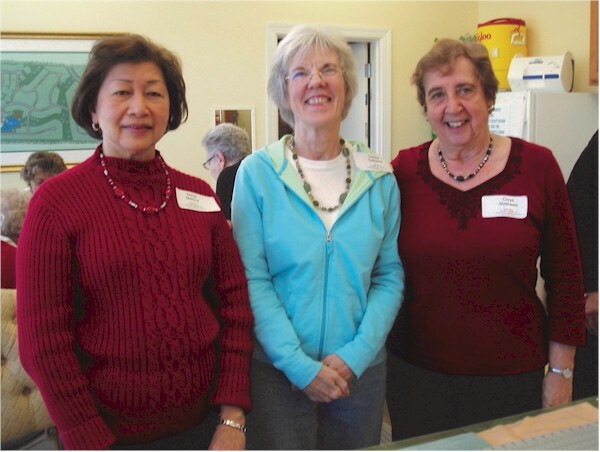 There are lots of fun activities, volunteer opportunities, exercise groups, and table games to play. All are welcome. Don’t forget: The March Trivia Pot Luck Dinner will be held in the clubhouse on March 7 at 5:30 pm. After dinner, we will test our knowledge with trivia questions. Deadline to register was Feb. 23. 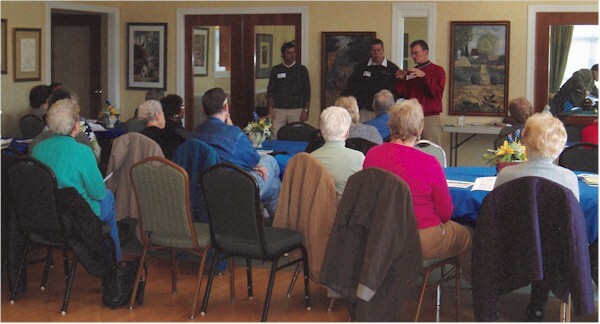 Several residents are planning to form a mixed voice (men & women) choral group here at Heritage Pines. They will meet on Friday, March 6, at 2 pm. There will be a sign up sheet in the lobby. If you have any questions, please contact one of the following: Mary Giannuzzi, Joan Hall, Nancy Romano, or Eva Germano. Plan on raising your voice in harmony!. Peggy Smith is our guest speaker in a new educational series being offered. Come listen to current information on reducing your risk of developing Alzheimer‘s Disease or other dementias.. Monday, March 16, at 3 pm. Food, Fun, Music and Games - join the gang. The annual St. Patrick‘s Day Bash will be held on Saturday, March 14, 2009, at 5:30 pm in the clubhouse. The traditional dinner of corned beef, cabbage, potatoes, carrots, Irish soda bread & dessert will be catered by The Hibernian Restaurant. The cost is $17.00 per person and the deadline to register is noon, Monday, March 2. Your hosts are Bob & Mary Hodes. Selection will be by lottery and the drawing will be at 2:00 pm on the deadline day. Please make out a separate check for this event. Don‘t forget to - think green! 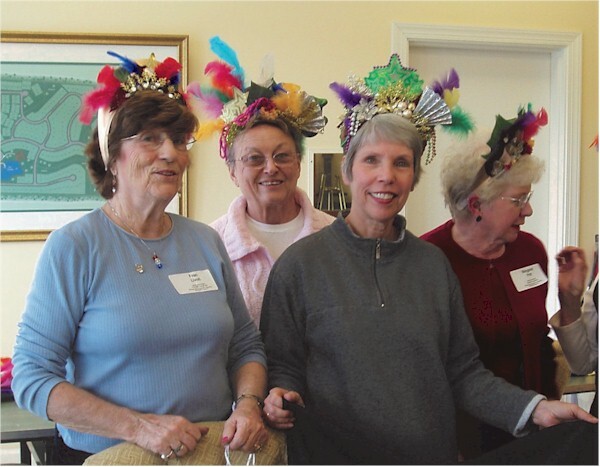 The March Ladies‘ Lunch will be held in the clubhouse on Tuesday, March 17, 2009 at 12:30 pm. 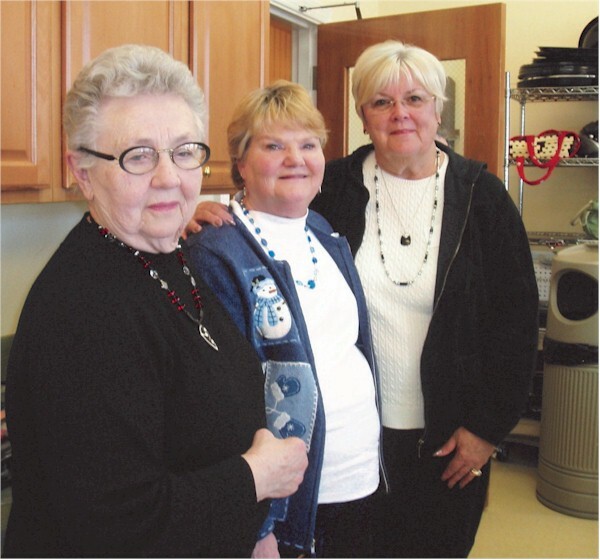 Your hostesses are Mary Schroeder & Jean Tiedemann. This will be a brown bag lunch (fast food, grocery deli, restaurant, or just make your own), and there is a $2.00 charge. DO NOT bring dessert. It will be waiting for you. Now is the time to get rid of that "beautiful" gift that you don‘t like and don‘t want. Please wrap the artifact and bring it to the luncheon so you can exchange it for another "wonderful" treasure. The deadline for reservations is noon, Monday, March 2. Come and have fun with your friends and neighbors. It is important for everyone driving through Heritage Pines to obey the traffic signs posted by the Town of Cary. The speed limit is set at 25 mph, and there are numerous STOP signs throughout the community. Unfortunately several residents are ignoring the regulations, and accidents are bound to happen. Please obey the traffic signs. It is bad enough when non-residents speed and run the traffic signs but HP residents must be more responsible and thoughtful of their neighbors and the law. Please clean up after your pets. It is not only the community association rule, it is also a rule for the Town of Cary. You can be fined for not comply-ing. The latest sighting of unclaimed pet waste was at the corner of Rockport Ridge Way and Up-lands Creek. Drive. Trivia Pot Luck Dinner will be held in the clubhouse on March 7. at 5:30 pm. After dinner, we will test our knowledge with trivia questions. Prizes will be awarded to the winners. The cost is $2.00 and it will be hosted by Mary & Bud Grandpre and Martha & Bill Kozar. The deadline for signing up is Monday, February 23. Bring a dish to share and join in the fun. On Sunday, March 22, at 2:30 pm, HP resident Dave Manning will entertain you with his program called - Sitting Down With a Poem-A New Way of Falling in Love.‖ To quote Dave, - The author's reflections will touch on humor, ambiguity, surprise, and, above all, the Music of Poetry. Also, giving (not totally) obscure poems (the one in "The New Yorker") a chance; clichés, rhyme vs. free verse, poetry vs. prose, and "the little magazines" -you gotta love "em." Please register on your sign-up sheet. The cost is $2.00, and the deadline is noon, Monday, March 16. Refreshments will be served. 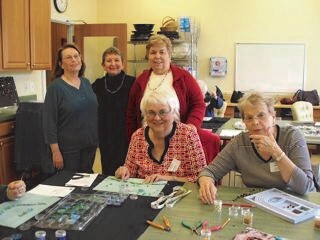 The Art Group is considering an oil & acrylic painting class for the month of May. This class would be taught by Marcelle Hook who teaches art in several area schools. She would teach still-life or landscape painting on the four Friday mornings in May. The four classes would cost $50.00 per person. We would like to have a show of interest now to see if it is worthwhile to finalize the time and teacher. Please call Eileen Fitzgerald at 462-3625 if you are interested. Thanks again. Tina, Barbara, Martha, Jo and Angie. 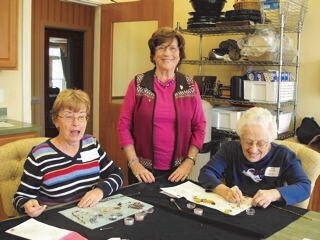 The Small Wonders Miniature Club of Cary was mentioned in the Sightings section of the January/February issue of Cary Living. 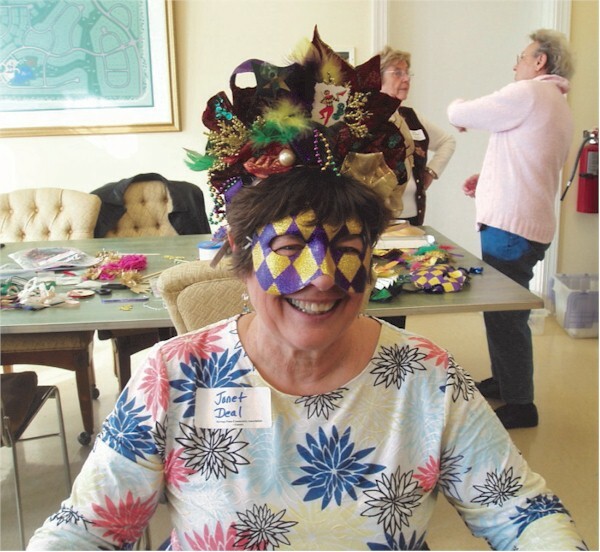 Heritage Pines residents Joan Edlind and Mary Ellen Heller are members of the club and displayed their designs at the October HP ladies' luncheon. These elected homeowners represent you with the Heritage Pines Board and the community. Spring is springing and the turf is starting to grow. We have resumed our mowing throughout the property, and we love the results that we are seeing from our aeration and over-seeding process last fall. Again, some of the more challenging areas will take a couple of more seasons to fill in, but we are ecstatic with the results that we are currently seeing. We hope that you enjoyed the conversation in the early part of the year from Robert Day with Bartlett Tree Professionals. There was a fantastic crowd and some very good questions. We thank you for your participation. Betty has a price list in the office if you are interested in either root collar excavation, application of horticultural oils to combat scale on your trees, or the structural pruning on which Robert spoke. The conversation this month - Hand Watering and Irrigation - How Much Is Enough? - will be on Monday, March 30, at 1 pm. Please join us for a discussion regarding the proper usage of your irrigation systems and hand watering. We will cover usage, clock setting, and rain sensors. Also, many of you have noticed the sign-up sheet for extra services in the office. We are confident that this system will improve our time and effectiveness in handling these requests. 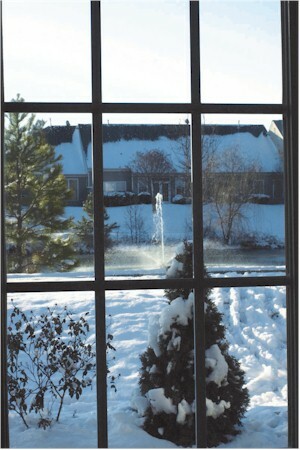 As always, the office is the first line of communication for residents for any landscaping needs. You may turn in your sign-up sheet beginning at 10:00 am, Monday, February 23, 2009 during office hours. None will be accepted before that time. If you are unable to deliver your sign-up sheet to the office, you may ask a neighbor or friend to take your sheet. Each resident is limited to one (1) extra sheet. Thank you for your patience. We trying to work on making event sign-up pleasurable for everyone. The files below are PDF files. These can be viewed by downloading a FREE copy of Adobe Acrobat Reader. Click on the Adobe Acrobat Reader Image (right) and follow the steps to download and then install Adobe Acrobat Reader. Rebecca Ann, 7 lbs. 5 oz. 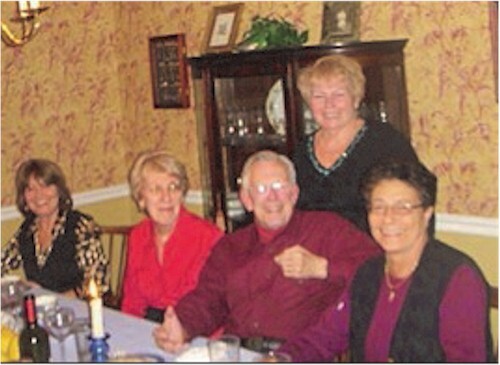 The family of Frank Zerino, who died January 3, 2009. 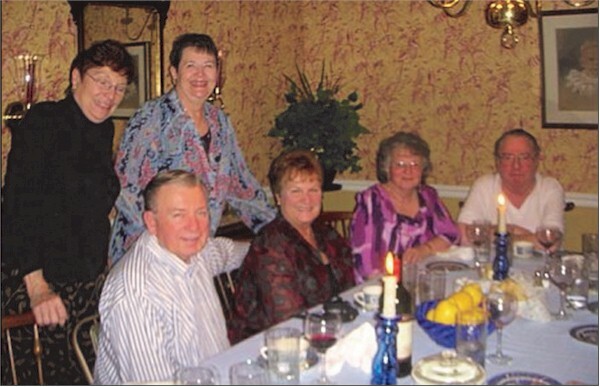 The family of Faye Settle, who died January 20, 2009. Jean Gillett on the death of her husband, Roger who died January 31, 2009. 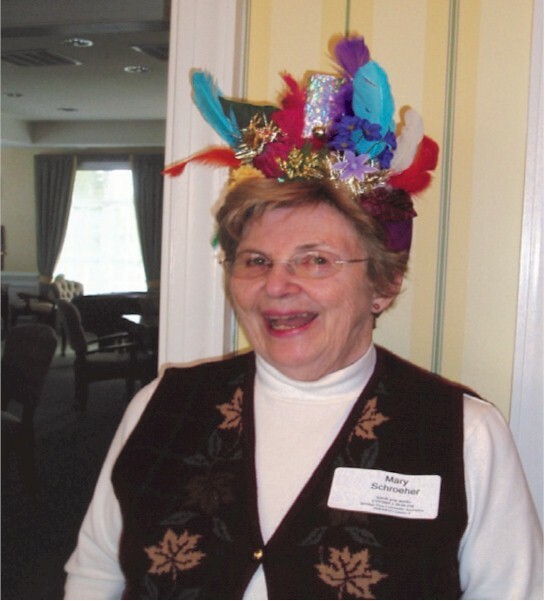 Chairman March – Betty Ecklund If you know of anyone in the neighborhood who is in need of care or our concern, please contact Betty. Click on an image for a larger version to appear in a new browser window. Seated: Laly Gener, Pat & John Sherman and Brunie Robles.